Sen. Rand Paul, R-Ky., said he's "disappointed" with the border security bill and President Donald Trump's national emergency declaration to build additional miles of border barrier. Paul tweeted his disagreement with the 1,159-page bill Thursday evening, which passed in both houses of Congress. The White House confirmed Trump would declare the emergency, which he made official Friday morning. He added, "I, too, want stronger border security, including a wall in some areas. But how we do things matter. Over 1,000 pages dropped in the middle of the night and extraconstitutional executive actions are wrong, no matter which party does them." A bipartisan group of senators and members of Congress hashed out a Homeland Security spending bill this week to stave off another government shutdown ahead of a Friday night deadline. The measure allocates just under $1.4 billion for border fencing, less than Trump's request of $5.7 billion. Trump will sign the bill and use a national emergency declaration to secure additional funding for the wall. He said it was a great victory for Trump a day or two ago. What's Nancy Peyote's favorite response? You've got to sign the bill to see what's in it, Mr. President? Something like that.......good lord wut a foolish woman. He was happy Trump got some money for a section of wall but is not happy with Trump declaring an emergency to get the money to build more. Authorization of spending and taxation is Congress's job according to the Constitution. Maybe that was before he talked to his dad? Regardless, the wall is a stupid distraction and an increase in totalitarianism. Trump doesn't even really care about it but has to push it or get crucified by his right flank. And the dems are political whores to push against in when they supported building the partial wall in the first place. Trump's "expansion" isn't really that much in the grand scheme of things, but because of political pandering to really stupid people he will probably end up pushing for a Gulf to Pacific Ocean wall before it's all said and done. Then he will build that "big beautiful door" in the wall to let future DACA parents in. Oh yeah, and face scanning cameras all the way across. Meanwhile NAFTA, which he [strike]renegotaiated[strike] renamed and regurgitated, allows for Mexican trucks to come across the border without inspection. That's how your illicit drugs are coming in. That and from the Canadian border. But hey, get distracted by migrant caravans and conflate issues that have nothing to do with each other cause....'merika! This should fit in well with our future as a nation... Maybe, now that they've secured funding, they could go with a nice stone structure? You know, to match the head stones? The technicalities around Donald Trump's N.E decree could trigger his impeachment. A line has been drawn in the sand. 17 ugees are receiving such assistance. 19 contribution to the Montreal Protocol Multilateral Fund. 11 tions Population Fund (UNFP A). Last edited by PAF; 02-20-2019 at 04:00 PM. Wow! So this is how congress shows concern for unpaid U.S. government workers. LMAO. 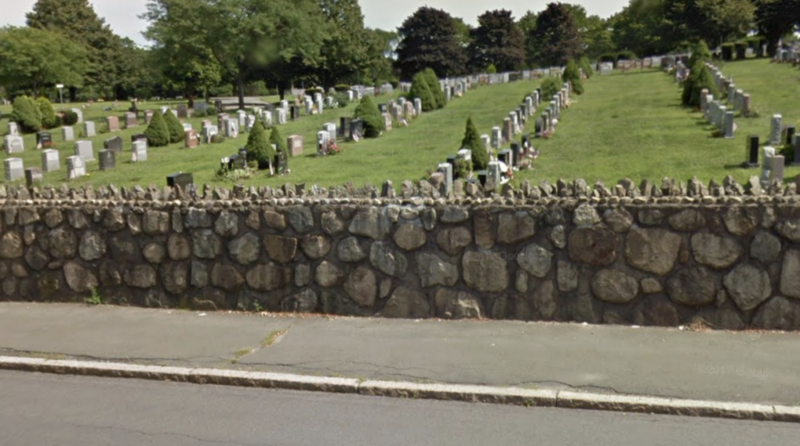 They put a nice stone wall around the ones in the picture but they still manage to get out and vote from the grave. You must spread some Reputation around before giving it to Occam's Banana again. All times are GMT -6. The time now is 07:30 AM.